A luncheon program organized by the Women’s Committee of the AGBU Alex Manoogian Center in Pasadena in observance of Mid-Lent was held in the center’s gymnasium on Sunday, March 15, 2009. On the occasion, Hagop Piandarian was presented with AGBU Honorary Membership in recognition of his longtime service to the organization and devotion to the Armenian community. Ladies from the Women’s Committee cheerfully greeted local members and friends of AGBU, who, along with their children, daughters-in-law, sons-in-law and grandchildren, had arrived to celebrate the daytime event. Berj Shahbazian, the newly appointed chairman of the AGBU Southern California District Committee (SCDC), and his wife, as well as the other SCDC committee members, had come to this now-traditional Mid-Lent luncheon of the Women’s Committee, to honor Hagop Piandarian for his many years of devoted service. Also present were Very Rev. Fr. Dajad Yardemian; Bedros Piandarian of New York, the honoree’s brother and longtime director of the accounting department of the AGBU Central Board of Directors, as well as other, honored invited guests and friends of the honoree, including Ara Najarian, Glendale Mayor, and his wife, as well as Rafi Manoukian, former mayor and member of Glendale City Council. Angele Karayan, the diligent chairlady of the Women’s Committee, opened the luncheon program with her brief and meaningful welcoming remarks and then invited Very Rev. Fr. Dajad Yardemian, Vicar General of the Western Diocese of the Armenian Church of North America, to explain the meaning of Mid-Lent in religious terms. In his brief yet informative message, the Very Rev. Father shed light on the importance of Mid-Lent in the days coinciding with the Easter fast, and then blessed the dinner tables. The artistic portion of the program ensued, with the playing of Tchaikovsky’s "Scheherazade," Spendiarian’s "Hijaz" and Komitas’s "Gakavig" by the well-known flutist Salpi Kerkonian, accompanied by her mother, Sossi, on the harp and piano. With their sensitive and faithful renditions, mother and daughter warmed the hearts and souls of the attendees, engendering lengthy applause. The suitable honoring of Hagop Piandarian, one of the dedicated and longtime members of AGBU, was the main occasion for the gathering. Born in Alexandria, Egypt, he was educated at the Boghosian National School and then attended Lycée Française, graduating with high honors as an agricultural engineer. Haig Messerlian, Vice Chairman of the Southern California District Committee, gave a detailed presentation of the services and devotion of the honoree to AGBU and the Armenian Apostolic Church over these many years, starting from his birthplace and continuing to the present in California. Messerlian noted, "AGBU is well known for being a first-class, trustworthy organization with great assets, but its real wealth is derived from its members and leaders, among whose ranks is today’s honoree." He went on to cite the pure, noble and inculpable qualities of the honoree’s character and then, in an atmosphere of overall excitement, invited Hagop Piandarian to the stage to be presented with the "Honorary Member" plaque of the Central Board of Directors of AGBU by Karnig Karayan, one of the senior honorary members of AGBU, and Berj Shahbazian. Also invited to the stage were former District Committee chairmen Yenovk Balikian, Hovig Melidonian and Vahe Imasdounian, during whose terms of office the honoree served as member, then secretary, treasurer of the building committee of the Alex Manoogian Center, and longtime chairman of the executive committee of the Pasadena-Glendale Chapter. Hagop Piandarian, visibly moved, thanked the AGBU Central Board of Directors for bestowing this honor on him. Likewise, he expressed his appreciation to SCDC chairman Berj Shahbazian, Chairman of the Pasadena-Glendale Chapter Shahe Seuylemezian, and the Women’s Committee for organizing such a wonderful program. "On the occasion of this ceremony, I share the honor bestowed upon me with all my co-workers in the organization, who, along with me, assisted in the initial efforts to form the Pasadena Chapter of Southern California AGBU, with uncompromising dedication," he said. Then he briefly touched on his lifetime of dedicated service to AGBU. This article is based mainly on the report filed by Samuel Ilanjian. 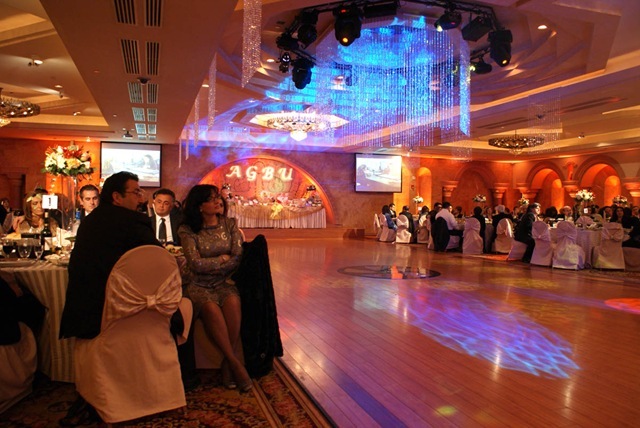 Established in 1906, AGBU (www.agbu.org) is the world’s largest non-profit Armenian organization. 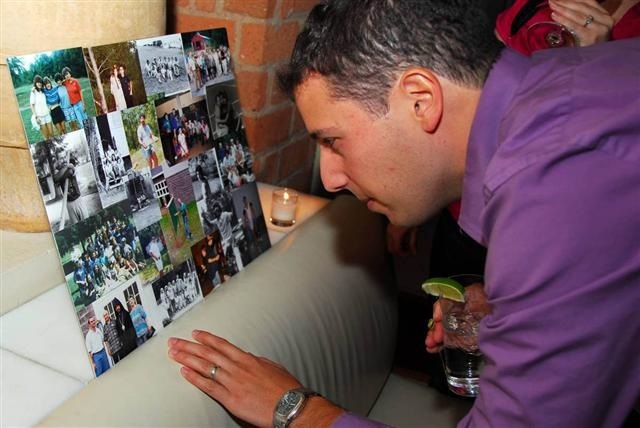 Headquartered in New York City, AGBU preserves and promotes the Armenian identity and heritage through educational, cultural and humanitarian programs, annually serving some 400,000 Armenians on five continents. Always reaching for new heights, AGBU has expanded its presence to one of the fastest growing Armenian diasporan communities in the world: Spain. As a major country in the European Union and a host to approx. 50,000 Armenians, Spain is a natural home for AGBU’s mission to promote the Armenian heritage. In other news, the celebrities came out to support the Generation Next Mentorship Program in Los Angeles during their impressive 10th-anniversary gala, which raised $40,000. Meanwhile, the AGBU-sponsored Interschool Chess Championship in Armenia has completed its second round, with the finals slated to take place in May. Also, did you know AGBU has a full roster of programs for SUMMER 2009? To learn more about youth programs in Armenia and the diaspora, visit: agbu.org/summer2009. Subscribe to the AGBU Blog via email, feed, or visit agbu.org/blog. Banner photo: AGBU Sofia Chamber Orchestra’s first spring concert featuring conductor Angel Stankov and soloist Atanass Krustev. On January 17, 2009, Spanish Armenians and their supporters from across Europe, 150 people in total, attended an AGBU-ACAB (Armenian Cultural Association of Barcelona) partnership event followed by a gala dinner on the magnificent premises of NH Podium Hotel in downtown Barcelona. Skiers, ages 10-16, are poised and ready for the slopes during the 2009 Annual "Colonie de Vacances" ski trip from February 21-28, 2009. A scene from the Papazian Theatre Group’s presentation of Jirair Ananian’s "Der Mi Toghour Mez Ander" (God, Don’t Forsake Us) gala performance on March 1, 2009 in Beirut, Lebanon. Guests at the AGBU Young Professionals of Dubai kickoff party on February 27, 2009. Arranged according to categories, from appetizers to desserts, these recipes will conjure up memories to many and awaken others to the pleasures of Armenian cooking. 126 pages, A popular classic. Ojakh Restaurant in North Hollywood, California. The announcement was received with elation by all those in attendance. great things in its short three years of existence. forward during the evening to make donations towards the fund. Yenovk Balikian, Karnig Karayan, Samuel Ilanjian and Besilios Besos. high school-age students in the San Gabriel Valley. expectations and promoting academic excellence for all students. 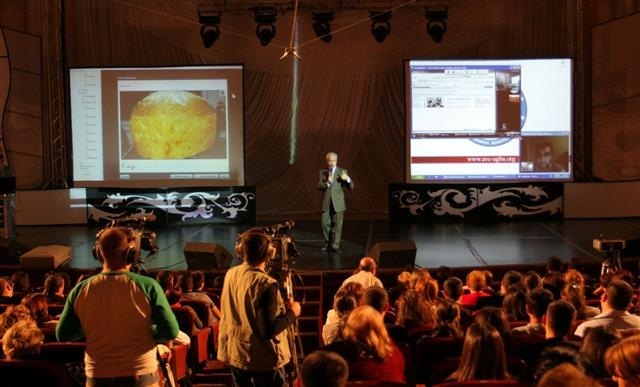 Armenian Virtual College (AVC), which is slated to launch in January 2009.
with a particular interest in scientific and educational innovation. Petrossian and the Empiray rock group. its significance for AGBU’s educational mission. will benefit from the resource. friends while they sampled an array of Greek delicacies and European wines. said, once the Camp Nubar spirit is part of you it never leaves. friends both old and new, while reliving memories from summers at camp. in time for the 2009 season. The next Camp Nubar event will be a winter reunion (details to follow). Refaat Al Imam, Nora Arisian and Arda Arsenian. 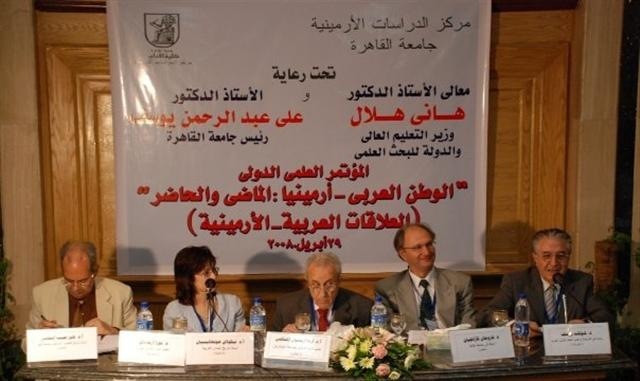 academic Dr. Hana El Haj who discussed “The Armenians and Islam,” Dr.